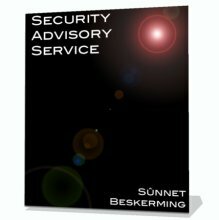 Covering news on emerging threats, advice on good security practices, analysis, explanation of technical news items, and brief, accurate, non-biased synopsis of security-focussed technology trends, S?nnet Beskerming commentary is many things. Whether you call it a blog, online journalism, or commentary on events, this is where you can find and search all relevant articles published by S?nnet Beskerming. All articles will eventually be made available free of charge, however some content is initially only available to paying subscribers.